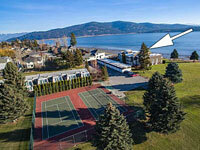 Sandpoint, Idaho - Search for Real Estate below! 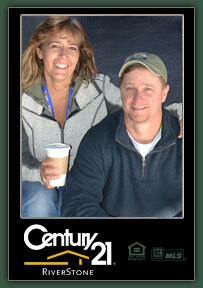 Welcome to Sandpoint Real Estate Guide, servicing North Idaho. 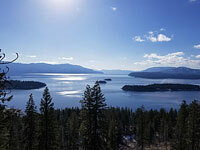 I'm here to guide you in finding that perfect property waterfront or view property in North Idaho. I know the North Idaho markets because I live and play here. There are lots of great towns to choose from all with there own country charm and culture. Sandpoint, Clark Fork, Hope, and Bonners Ferry just to name a few. 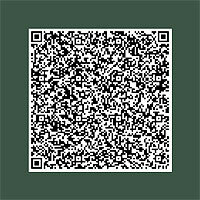 Once in a while a very special property becomes available. This one has been owned by the same family since 1902, and 116 years later it's being offered for sale. This estate parcel is guaranteed to take your breath away. With 407 acres of gently sloped terrain into over 3000 front feet of Lake Pend Oreille, your mind can only imagine what could be done on this stunning property. There are currently about 14 leased homes on the estate with year to year leases, which can be terminated at their completion after the property closes. All roads on this parcel near the shoreline can be moved as they are private and controlled by this parcel. North Camp Bay Road on the northern shore of Camp Bay can be completely vacated at Buyers discretion. With this much land and valuable beachfront, development into eight 50 acre waterfront estates or higher density PUD's (Planned Unit Developments) are possible. 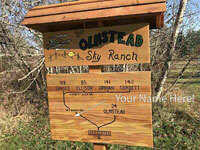 Borders over 1300 acres of public land, no other properties are like this at any price! 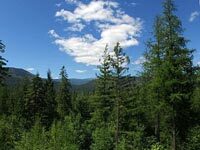 Looking for an impressive mountain log home overlooking the most breathtaking lake & scenery in North Idaho? 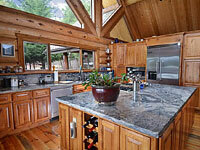 Don't miss this absolutely beautiful & massive Caribou Creek Log Home. 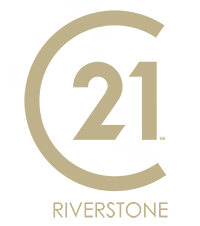 Caribou Creek Log Homes are known for their excellence in quality construction and unique structures. 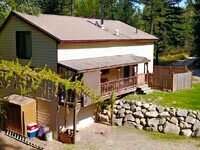 Located just 8.5 miles from downtown Sandpoint, this 3 bedroom / 2.5 bathroom 2892 square foot home sits quietly hidden from its neighbors on 5 private acres of ground in Sagle, Idaho. You'll appreciate the cathedral ceilings in the living room giving it a very open feel. Enjoy the absolute best views available of the Selkirk Mountain Range off the deck in your hot tub in this custom built cedar log home in the beautiful gated community of The Meadows at Fall Creek. This isn't your average log home because it was constructed with cedar "D" logs, a double tongue & groove fitted. Quality custom built home was superbly designed with great flow and space for just about anything you need. The living room & dining room with vaulted ceilings make the home feel very open. This 4 bedroom 3.5 bath home has plenty of additional space with a large family room, loft, office and plant room. Spectacular world class views from this 80 acre property perched above the quaint lake town of Hope, Idaho. Amazing southern exposure with views of Lake Pend Oreille, the Green Monarchs, Schweitzer Ski Resort and the Clark Fork Delta. The land features multiple treed building sites. 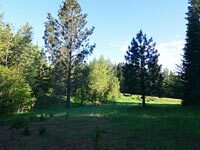 Great piece of land located in a private but easy to access location very close to The Idaho Club golf course. Don't miss this opportunity to buy a piece of quality ground in North Idaho located near the Pack River and Lake Pend Oreille access points. 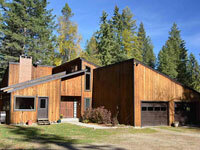 Property is also conveniently close to Downtown Sandpoint. 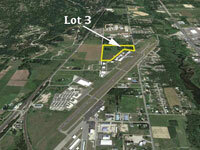 Pilots... don't miss this great opportunity to build that home or hangar on a private airpark in North Idaho! Olmstead Airpark is only a few minutes drive from downtown Sandpoint Idaho and offers a great aviation community atmosphere. The grass runway is 3000 ft in length and 50 feet wide and is well maintained. 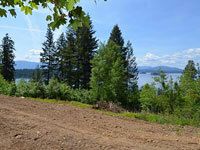 Great Lake Pend Oreille view property ready to build on with good road access overlooking Hope, Idaho. If you're looking to build a home on "Big View" property but aren't looking to have to be off grid to do it, this may be the parcel for you! Only minutes from downtown Hope. Own commercial land with both Sandpoint Airport Access and Public Road Access. 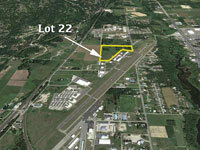 This 1.72 acre commercial parcel allows the owner to have runway access and private access to Woodland Drive in Sandpoint. This 1.33 commercial acre parcel will be available in the Summer of 2019. 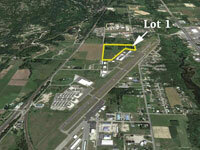 This lot is priced to sell at about $6 a square foot, an unbelievable price for commercial airport access property! 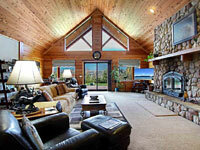 Live the lifestyle of a quiet North Idaho gated community with plenty of room to spread out. 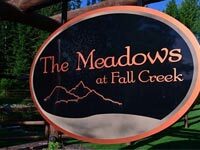 Meadows at Fall Creek is located close to Sandpoint. 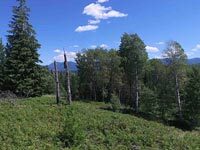 Great sloped lot with big mountain and valley views available, just pick the trees you love and remove a few to open up the vast views available. 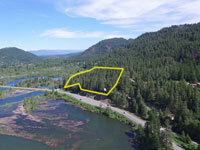 This is a great opportunity to live in a beautiful North Idaho gated community on a large parcel in a beautiful setting. The Meadows at Fall Creek is meticulously maintained. Looking to feel like you are a million miles away while enjoying the amenities and comforts of a Planned Unit Development? Sandpoint has some nationally renown attractions like Schweitzer Mountain Ski Resort, Lake Pend Oreille one of the largest lakes in the northwest, and some great golfing destinations. Bonners Ferry is home to the Kootenai River, known for it's incredible whitewater rafting and fishing. Clark Fork, Idaho is located on the historical Clark Fork River and the locals there enjoy hiking, biking, and big game hunting only North Idaho can provide!